Zachary Taylor Brown, or Z. T. as he was known, was born in Illinois in 1850. His father was a Baptist minister and wealthy landowner. In 1870, Z. T. first met Sarah Mulholland, the daughter of Irish and English immigrants, who came to work as a maid in the Brown household. Z. T. obtained his law license and a degree in civil engineering in 1874. In 1876, Z. T. and Sarah were married. Brown set up a law practice in Springfield, Illinois but, after trying only one case, he gave up practicing law. Z. T. and Sarah followed his parents to East Texas. In 1882, Brown came to Midland, where he purchased land seven miles southwest of Midland. He brought a thousand sheep from East Texas and Z. T, becoming the second sheep man in Midland County and the first to fence his land. His family, now including four children, joined him in 1884 and they lived in a "lean-to" on the ranch. They suffered through hard times--drought and blizzard--but persevered. In 1890, Brown sold his sheep and entered into the mercantile business in Midland. He had purchased the lot on Weatherford Street in 1886 and the family, increased by two more children, moved into a four-bedroom "shotgun" house. In 1894, Brown sold his mercantile interested and returned to ranching, this time with cattle on the Railway Ranch, 35 miles southwest of Midland in Upton County. 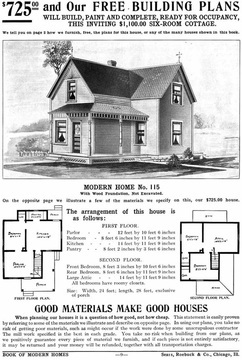 IN 1899, the house was ordered from a Sears catalog as a "kit" at a price of $2,800. It was shipped to Midland and assembled by T. B. Wadley. The large Brown family moved into their new home and the Brown children all grew up in this house. Z. T. and Sarah's fourth child, Sarah Urusiline Brown, met Hugh Barto Dorsey from Alabama and they married in 1907. The parlor was the site of their wedding. When Sarah Brown became blind, daughter Sarah Dorsey moved into the home to care for her and her father Z. T. for the remainder of their lives. Sarah and Hugh had seven children. After the death of her parents, Hugh and Sarah separated and Hugh moved to Lamesa. Sarah continued to live in the house with her children until her death in 1968. 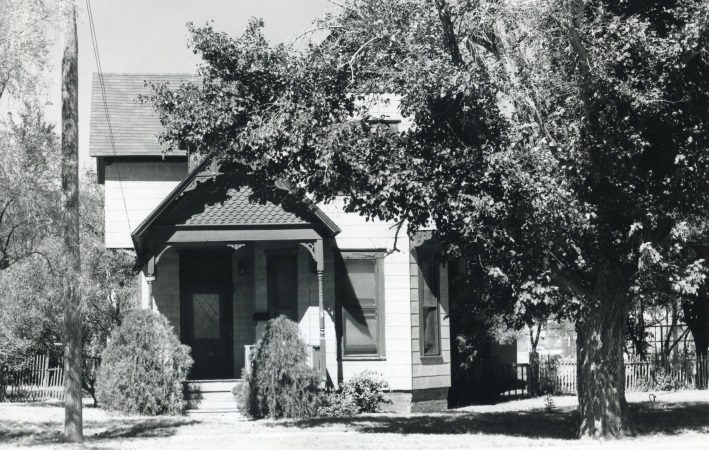 The Midland Historical Society acquired the home. Nancy McKinley and Evelyn Scarborough Lineberry, local historians, supervised the furnishing of the home with historic furniture.